stainless steel barrel and carrying the Christensen Arms’ Sub-MOA Guarantee , the Mesa offers a lightweight ( 6.65 lbs. ) and accurate package at an affordable price – $1,295 MSRP . Other features include a tungsten Cerakote® finish, a removable seamless radial brake, a carbon-reinforced fiberglass stock, an adjustable match-grade trigger, and many of the industry-leading features you would expect in a Christensen Arms’ rifle. The Mesa is available in multiple calibers including, .308 WIN, 6.5 Creedmoor, .300 WIN MAG, 7MM-08, and 7MM Rem Mag. The Mesa is currently shipping and available for purchase. For purchase information, please contact your local Christensen Arms dealer or find a dealer near you at http://www.christensenarms.com/find-a-dealer/. 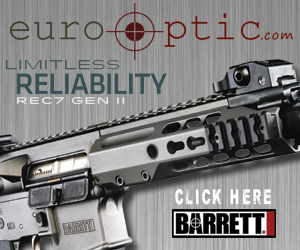 Full specs can be found on the Christensen Arms’ website, http://www.christensenarms.com/. aerospace materials and processes, Christensen Arms manufacturers some of the most lightweight, precise, and accurate firearms in the industry and around the globe.